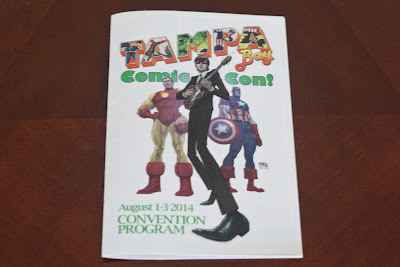 Rally the Readers: Adventures at Tampa Bay Comic Con 2014! In case it wasn't obvious, Ally, The Melissa, and I are huge nerds, not only about books but many other things as well. 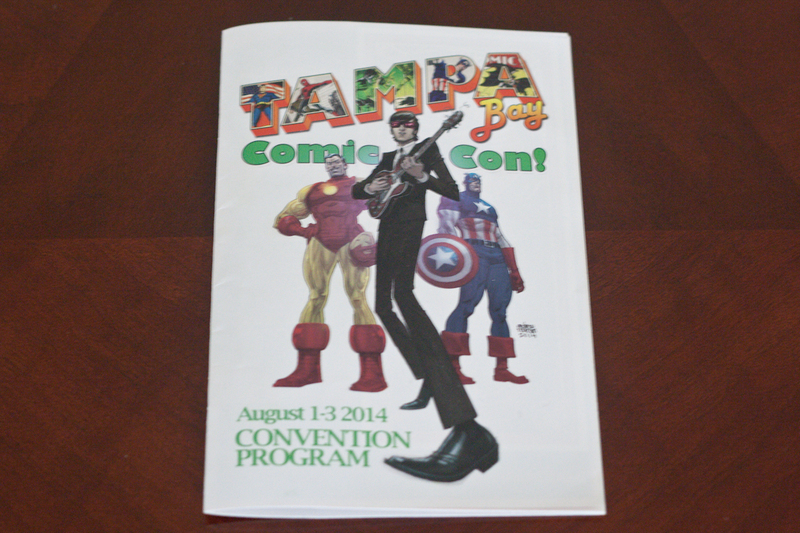 We've often talked about going to a comic con, and we finally made it to one—Tampa Bay Comic Con 2014. We were only able to attend one day of the con, this past Saturday, but we had an awesome time with the couple of hours we spent there. Two Game of Thrones actors made appearances: Richard Madden (Robb Stark) and Pedro Pascal (Oberyn Martell, the Red Viper). Alas, we did not have time to wait in the super long lines for autographs/photo ops or go to their Q & A panel. Poor Melissa had to go to work that evening, and we had a nearly two hour drive back home. Ah, well. We did, however, make the panel with Evan Peters from American Horror Story and most recently, X-Men: Days of Future Past. Ally has written a report on that experience, which you can read in a bit. Melissa has also prepared a little something for this post; after her disappointment over not winning any raffle prizes at UtopYA, she has a much happier tale to tell this time. 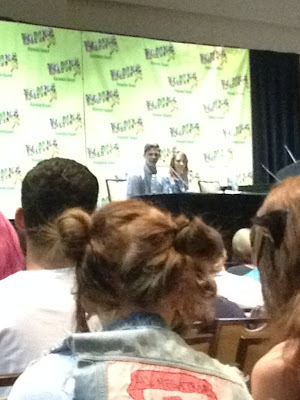 First, though, I'm going to recap the con a little bit. The exhibitor tables and booths were awesome. I had to refrain from buying everything in sight. 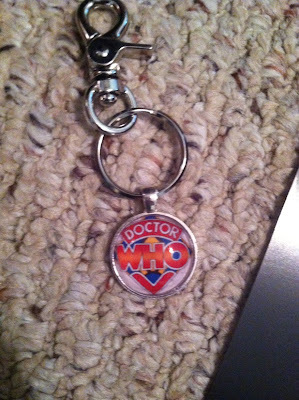 There was no shortage of Doctor Who merchandise: T-shirts, buttons, figurines, even a teapot! I think my favorite bit of merchandise that I spotted was the T-shirt that had a direwolf on it and said "Keep Calm and Avoid Weddings." Of course, no comic con would be a comic con without costumes! The four of us (Ally and Melissa's brother, Denis, also went) did not go in costume, but we saw plenty of inspiration for our next con. There were many tributes to several different Doctors, with the Tenth and Eleventh being the ones I saw most often. I also spotted 3 Daenerys Targaryens, 2 Arya Starks, and 1 Jon Snow. Oh, and there was a dude who sported a really cool Gryffindor Quidditch uniform, complete with broomstick! Ally: This past weekend, Melissa, Lee, Denis, and I had our very first experience at the Tampa Bay Comic Con. The best part for me was seeing Evan Peters! For those of you who don't know, Evan Peters is one of the star actors of the hit television series American Horror Story, and he also played Quicksilver in X-Men: Days of Future Past. It was so flipping amazing to even be in the same room with him! Evan's panel didn't start until later in the afternoon, so we all mucked about for a while before I dragged everyone to go stand in line to wait. We got to the panel room close to an hour before it started and the line was already ridiculously long. I won't lie, I was kind of flipping out because I was scared we wouldn't be able to get in, lol. Luckily, we made it! Evan was just perfect! I can gush all day about him! I didn't go up to ask him any questions because I didn't want to make a fool out of myself like the dozens of other girls were doing, lol. I took lots of pictures though! ;) It was really great hearing what he had to say. Unfortunately, he didn't give away any spoilers for the next season of AHS. But he answered every other single question thrown at him, even going so far as showing everyone that he was wearing boxers! The line was definitely well worth the wait! The con sounds like so much fun, I hope you get to stay longer next year! All of us loved Evan Peters in X-Men, too! Quicksilver really stole the movie, which was quite a feat considering all of the acting talent there! 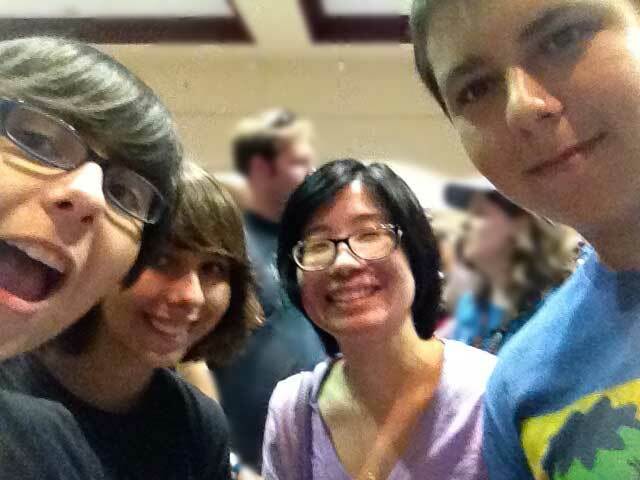 We'd love to go to the con again. Now that we have a better idea of what to expect, we can plan our time much more efficiently. I got acquainted with Doctor Who because my son started watching it on Netflix. I'm in love with the last two Doctors!! Good grief! 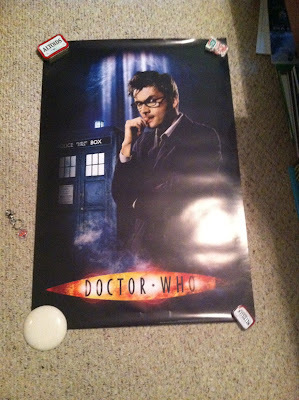 David Tennant is AWESOME. What's funny is that I've seen him in more movies and TV shows outside of Doctor Who, lol. That sounds like an amazing time. I loved his performance as Quicksilver - definitely the highlight of that film to me - and the Who necklace is lovely. I also covet that Keep Calm and Avoid Weddings shirt. Too funny! I wish that Evan Peters were also playing Quicksilver in the Avengers sequel He was so perfect in that role! And there were a lot of great Keep Calm-themed shirts- I also liked the one that said, "Keep Calm or Hulk Smash" LOL! Yes- you might want to even consider leaving the credit card at home, lol! There was so much cool merchandise; I had to keep reminding myself that I need to eat more than I need another Game of Thrones T-shirt! I was practically drooling over that poster myself, hahaha! Denis got one of Sherlock, who I know you're also a big fan of. :D It is sooooo easy to go broke at events like this; I seriously considered buying a signed poster of one of the Game of Thrones actors but then thought better of it. Walking around checking out all the merchandise was my favorite part of the day- so many cool items!